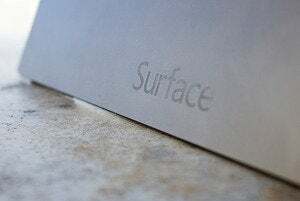 While Microsoft's widely expected to reveal a long-rumored 8-inch Surface Mini at its "small" Surface event in New York on May 20, the micro-tablet may not be the only new slate to surface that day. Bloomberg reports that other models—yes, models, plural—will be announced as well, including some with Intel processors. Further details aren't specified. If the report is accurate, the Intel-based Surface(s) could be any number of things: A mere refresh of the Surface Pro 2, a new model entirely, or maybe even a "Pro" counterpart to the Surface Mini itself. Bloomberg, you see, also reports that the Surface Mini—or at least a Surface Mini—will run Windows RT rather than the full-blown version of Windows 8, joining a chorus of similar reports. 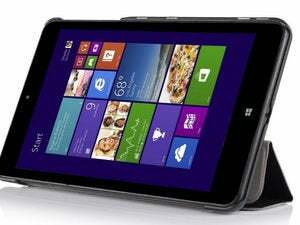 Microsoft's full-sized Surface slates are available in both ARM and Intel flavors, with the Surface 2 and Surface Pro 2, respectively; it's easy to envision the company doing the same with a line of small-screen tablets. Bloomberg says the Windows RT-flavored Surface Mini will use Qualcomm processors, rather than the Nvidia Tegra chips found in the Surface RT and Surface 2. The Surface Mini is expected to focus on note-taking capabilities and ship with a digitizer pen similar to the Surface Pro 2's—but it'll take more than a fancy stylus to make a smaller Surface truly shine in a sea of oh-so-similar 8-inch Windows tablets. Be sure to check out the 10 things we want to see in the Surface Mini, then tune in here on May 20 to get the news from the Surface event as it happens.